For the first time in its modern history, in December 1965 the Roman Catholic Church gave official recognition to the right of Catholics to be pacifists and conscientious objectors to war. This historic change was to a great extent a result of the life and work of Gordon Zahn. Zahn, who died in December 2007 in Wauwatosa, Wis., would have turned 90 on Aug. 7. The anniversary is an appropriate time to appreciate Zahn’s many contributions and to review the questions his life’s work still poses for American Catholics grappling with issues of war and peace. Zahn, who was one of the few Catholic conscientious objectors during World War II, paid a personal price for standing against popular opinion. His application for conscientious objector status was initially denied because the Catholic priest on his draft board said Catholics could not be conscientious objectors. Upon appeal, Zahn received his c.o. classification and spent the war fighting forest fires in Camp Simon, a Catholic Worker community in New Hampshire. After the war, when Zahn attempted to resume his student work, he found it difficult to gain college acceptance because of his conscientious objection. Finally, he received a scholarship from St. John’s University in Collegeville, Minn., but faced so much hostility from a student body filled with veterans that he had to transfer to the University of St. Thomas in St. Paul. Controversy erupted again in the 1960s, when Zahn published his two seminal works: German Catholics and Hitler’s Wars: A Study in Social Control, and In Solitary Witness: The Life and Death of Franz Jägerstätter. The first book was a sociological study of the failure of the German Catholic Church to resist the Nazis. The second was a biography of the Austrian peasant who was executed by the Nazis for refusing to serve in a war he believed to be unjust. Zahn saw a kindred spirit in Jägerstätter, who had to stand not only against the authority of the state, but also against the German church, which refused to recognize his conscientious objection and endorsed the duty of Catholics to serve in the military. Vatican officials and German bishops tried to prevent the publication of both books. Yet Zahn went ahead, and his work on Jägerstätter paved the way for Jägerstätter’s eventual beatification by Pope Benedict XVI in October 2007. In a review of Zahn’s study of the German church, Gordon Allport insightfully noted the question underlying Zahn’s work: “[W]hat has happened to the edge of Christian conscience? How has it become so badly blunted since the age of the early martyrs, many of whom embraced death rather than place one pinch of incense upon a pagan altar?” Zahn had quoted an unnamed expert at the Second Vatican Council as saying: “We don’t encourage martyrdom. To prevent this, the church will make almost any adjustment.” Such adjustments, Zahn contended, had robbed the church of its prophetic vitality since the time of Constantine and led to the cultural imprisonment of milieu Catholicism. Thus, Zahn argued that the church must return to a suspicion of the state that characterized its worldview before Constantine. For Zahn, the inhumanity of the modern state was rooted in its reliance upon ever greater force to achieve security, which resulted in ever more aggressive wars and the ultimate insecurity posed by the threat of nuclear holocaust. 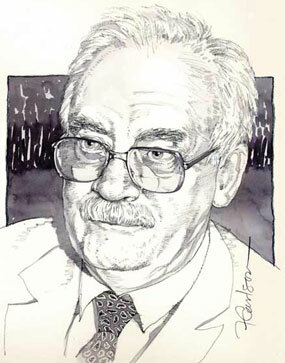 Zahn rejected the ideological polarities of the cold war and sought to place both the capitalist West and Communist East within a critique of the modern state. In his view the modern state had destroyed the autonomy of the individual, and the preservation of the state depended on the effectiveness of this moral lobotomy. Therefore, a prerequisite for any social reform was a revival of a personal and cultural sense of individual moral competency and responsibility. At the heart of the church’s co-optation by the modern state, Zahn insisted, was the just war theory, and the manner in which its interpretation and application had been used to justify government policies rather than to critique them. While his strict pacifism entailed a rejection of the just war theory, Zahn relished using its categories to argue that no modern war could be justified. The reason: Modern warfare violated the requirements for discrimination and proportionality. In the 1960s and 1970s, such Catholic intellectuals as James Dougherty and William O’Brien were among the prominent spokespersons for political-moral “realism,” a school of thought associated with Reinhold Niebuhr in American Protestantism and John Courtney Murray, S.J., in American Catholicism. In their view, the cold war between the United States and the Soviet Union was the defining cultural and moral struggle of civilization. In the struggle, the right of the United States to self-defense required adapting the just war criteria to accommodate the type of conflict in which the United States was likely to find itself. For these social moralists, that meant defending both the morality of nuclear deterrence and an engagement in “limited” nuclear war; for O’Brien, it even included the use of torture. This thinking reflected the majority Catholic opinion of the time. Zahn vehemently opposed this position, arguing that it demonstrated a total corruption of the just war theory and the cultural enslavement of American Catholicism. Catholic moral theology, he argued, was being guided by the Defense Department, not the teachings of the church. Zahn argued that at a minimum, the Vietnam War violated all the requirements of the just war theory. And he viewed Catholic justifications of it as a fearful parallel to the moral capitulation of the German church during the Second World War. Zahn co-founded Pax Christi USA, an American branch of the Catholic international peace movement, in 1972. He also found great satisfaction in the American hierarchy’s recognition of the right of Catholics to be pacifists in their 1983 pastoral letter, The Challenge of Peace: God’s Promise and Our Response. Zahn was a primary consultant for the committee that drafted this letter and a ghostwriter for a section of it. In the late 1990s the effects of Alzheimer’s disease ended Zahn’s active participation in the ongoing Catholic debates on war and peace, yet his analysis still poses challenges that we Catholics ignore at our peril. The end of the cold war and the events of Sept. 11, 2001, changed the geopolitical context of the issues Zahn debated in the 60s and 70s. The neoconservative movement, which has been extremely influential during the George W. Bush administration, has sought to replace the American crusade against Communism with an American struggle against Islamic jihadism. Zahn would decry this development as further proof of the descent of American Catholics into the enslavement of milieu Catholicism. He would also no doubt continue his criticism of the bishops’ inability to use the just war theory to stand against such developments. In 2002 and 2003 the U.S. Conference of Catholic Bishops issued statements arguing that an invasion of Iraq would not satisfy the requirements of the just war theory. Papal denunciations were much stronger. Yet when the war was launched, and even after the false premises for initiating the war became evident, the bishops could not make an unequivocal break with the government’s policies. No doubt Zahn would also question an apparent shift in emphasis in the bishops’ social teachings from the 1980s, when the issues of war and peace, economic justice and other social issues like abortion were treated with equal force. In more recent years, the issue of abortion seems to have become primary, with the issues of war and peace taking a secondary place. In the face of our current challenges, Zahn would ask how we as a church can pretend to be taking a countercultural stance against the “culture of death” if we avoid treating such issues as the Iraq war, torture and foreign policies that promote conflict with the same specificity with which we address the issue of abortion. He would ask whether our current position is to retreat into a realm of personal moral issues, where the church can assert its moral authority without risking a conflict with the state that could affect its corporate interests. Such questions are as necessary as they are controversial. For they require us to discern whether we are still capable of a prophetic witness that can transform our society or whether we have become the slaves of a milieu Catholicism that desperately seeks to secure a place for its corporate interests. To the necessity of such a communal examination of conscience, and to the disastrous consequences of evading it, Gordon Zahn still stands as a solitary witness. Fr. Au has it right: the leaders of the U.S. Church are more focused on corporate interests and tax exemption than on the prophetic challenge of the Gospel to the "American Way." Thankfully there will always be individuals like Zahn whose voices rise above the pack. However, it would be nice at times to hear the pack howl in unison, even if it drew down the wrath of politicians. I cannot agree with pacifism. The history of humanity has been a history of wars. lying down before tyranny (no, said George Washington), before fundamental threats to our social identity (no to a German invasion of England), this is not a christian option. MLK tactics were great but there are times when this means rolling over and leaving the situation worse than it was for lack of leadership and institutional support against tyranny. This attitude of the church re rights in latin america 1960 - was a true success even if it was not supported by a vatican exclusively focused on its cozy relationship with the US in the Cold War. Just war theory did once upon a time justify wars. Of course the nuclear weapon has changed this discussion, as the current threats to Iran reveal. We would destroy a people absolutely to stop government activities that will take years to complete even if that is the intention in an age when no government can function without connections to the globalization process. Moreover to talk like this without any attempt to consider the possibility of a nuclear weapon free world! and at a t ime when just about every nation must be giving serious consideration to buildiing nuclear power stations. But i agree absolutely with the theory of "milieu catholicism" and the disproportionate focus on abortion in the culture of life while the Pope has amiable chats, IN PUBLIC, and in an American ELECTION YEAR (hint, hint to catholics) with a world leader who has destroyed the concept of a rule of law, and become a mirror image of his enenemy. i had never heard of zahn. pity. he was obviously a wonderful catholic. Bring on the spirit of Zahn! We need an army of 21st century prophets to drag us from our milieu catholic desert to find our voice and our courage to be truly countercultural about the abomination of war in all its disguises. Let's think about how we might free up our priests and bishops who have been schooled in theology and called to the service of the people of God. Get them out of the corporate world by turning all business administration of both parish and diocese over to competent independent laypeople, well schooled in moral and ethical values. Then they will no longer serve two masters; they will be free to serve the cause of the way of Jesus for which they were ordained. What a gift it would be to them and to our world. Blessed are the peacemakers for they shall be called the children of God! May we all aspire to this calling. excellent article As compelling as it is I would not have been able to join the Catholic Church before 1965! This article also appeared in print, under the headline "Still a Prophet," in the August 4, 2008 issue. The Rev. William A. Au is pastor of SS. Philip and James Church in Baltimore, Md.